The path to a championship is laden with obstacles but the team under the most pressure is often the team with the best record. If your team just slipped into the playoffs, you can with play abandon; after all, you have nothing to lose. Conversely, the team with the best record is labeled the “favorite” or the team that is supposed to win. 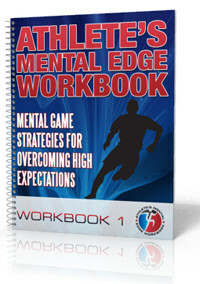 Those high expectations create a tremendous amount of pressure for any team to sift through. The Washington Capitals are heavily favored to win the Stanley Cup after racking up a league-leading 55 wins in the regular season. The Capitals understand the pressure and high expectations that come with having the best record heading into the playoffs. The Capitals also know the key to their success is focusing on the game at hand, shift by shift, rather than the potential outcome of a series. In the first game of the 2017 NHL playoffs, the Capitals quickly found themselves down 2-0 to the inexperienced Toronto Maple Leafs. Instead of getting down or allowing the pressure to overwhelm them, the Capitals fought to their way back to tie the game and force overtime. When faced with the added pressure of overtime, the Capitals responded by scoring five minutes into the extra period for a 3-2 victory in Game 1. Washington captain Alex Ovechkin thought the pressure affected the team’s early play but credited the team’s ability to rebound for the victory. Focusing is the remedy for pressure. getting a pat on the back for a well-played game, etc. 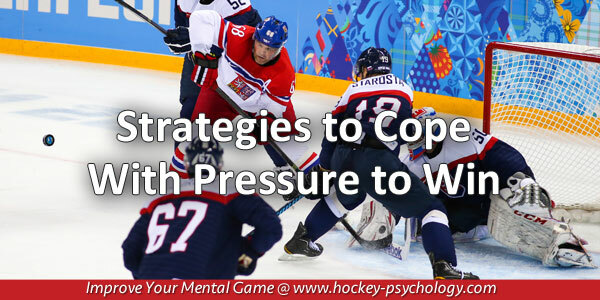 When the outcome becomes more important or has greater personal meaning, pressure increases exponentially. One way to cope with pressure is to not get caught up in outcomes and do you best to stay in the moment, one shift at a time. This will allow you to focus your attention on the play in front of you. It’s not only the outcome, but the aftermath (what the outcome means to you) that is a source of pressure for many hockey players. Know that underdogs will perform freely with nothing to lose. They might be loose at the start and take an early lead. Don’t panic, but weather the early storm. Rely on the comebacks you’ve made all season. Have confidence that you can pull out the win no matter the score early in the game. Learn how to focus your best during games with The Focused Athlete Audio and Workbook program.